Have rodents destroyed your crawl space or attic? Flooding or water damage ruin your insulation? At Green Oregon Pest Control, we have been experts at crawl and attic restoration work for quite some time. We can help get your crawl space and attic clean and healthy once again. When rodents destroy a crawl space or attic and their urine and droppings make your home environment unhealthy, we work hard to get it back to normal. Our 9-step restoration process ensures we don't miss anything. Let us keep your family safe from the harmful bacteria rodents can create! While these creatures are beneficial to the environment, we definetly don't want them in our homes or businesses. Bird bugs and Bat bugs can be a secondary pest to these creatures when they infest your home. We have special techniques to safely get them out of your home and keep them out. Contact us for a free inspection and estimate. Heat treatments have become increasingly popular with the rise of chemical resistant bed bugs and the need for a non-chemical solution. Traditional treatments have been less effective and the options are having to be considered. 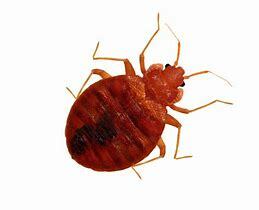 Heat treatments for bed bugs are one of the best ways to take care of a bed bug problem. Pests can not become resistant to heat and heat is one of the greenest and most effective solutions to bed bug problems. Let us show you why our heat treatment techniques are the best in the business. If you suspect you have a bed bug problem, give us a call and schedule a free inspection. Excess water in your home can cause many problem. Too much moisture can attract many pests like wood boring beetles, not to mention mold and mildew. 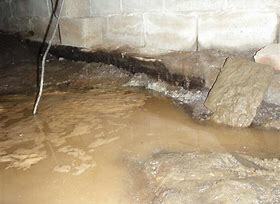 The installation of a sump pump will help keep your crawl space as dry as possible.